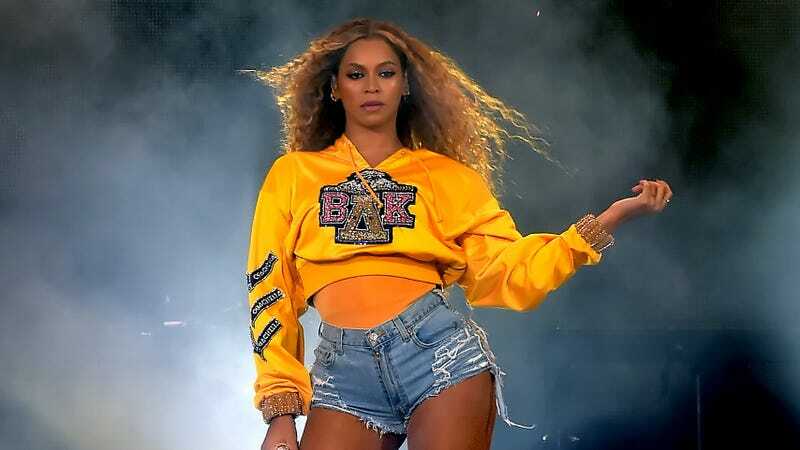 Not everyone is cool enough to have gone to Coachella this weekend, but those of us who weren’t there didn’t miss out on anything too spectacular—except, of course, for what sounds like a huge headlining performance from Beyoncé. As reported by Spin, she got an assist from JAY-Z early on for “Déjà Vu” and Solange appeared as a back-up dancer during “Get Me Bodied,” but the biggest reveals were Beyoncé’s old Destiny’s Child pals Kelly Rowland and Michelle Williams, who joined her for a surprise reunion of the beloved pop group. We’re just happy we still can return to cool Beyoncé stories like this after the end of the harrowing “who bit Beyoncé?” saga. If someone at Coachella bit Beyoncé, please do not tell us about it. We can’t handle another mystery.